In the normal course of television journalism, one doesn’t usually start an interview by asking about someone’s fundamental beliefs. However, it’s hard to discuss Fox’s new series TOUCH without doing just that. Created by Tim Kring of HEROES and already renewed for a second season, TOUCH stars Kiefer Sutherland as widower Martin Baum, who discovers that his non-speaking eleven-year-old son Jake (David Mazouz) sees and reacts to patterns that connect seemingly random people and events all over the world. This unique situation causes Martin and Jake a lot of problems. One of their few allies is Mbatha-Raw’s character social worker Clea Hopkins, played by Mbatha-Raw. Mbatha-Raw has spent the day talking about TOUCH with the press, and now she’s at a party thrown by Fox for the Television Critics Association. Alone in the throng for a few minutes, she graciously takes time to talk about her new series some more, along with a few other recent gigs. By the age of eleven, Mbatha-Raw was acting on stage in Oxfordshire. As an adult, she has appeared in arcs on a number of cult favorite British TV series, including MI-5, BONEKICKERS and as Tish Jones on DOCTOR WHO. When she came to the U.S., Mbatha-Raw was cast as the female lead opposite Boris Kodjoe in J.J. Abrams’ NBC series UNDERCOVERS, about a married pair of spies. The 2010 comedy only lasted thirteen episodes, but Mbatha-Raw moved on to the feature film LARRY CROWNE, playing a free-spirited student. UNDERCOVERS was heavily hyped prior to its 2010 debut, as the romantic spy comedy was produced by J.J. Abrams, creator of ALIAS and director of the two most recent MISSION: IMPOSSIBLE films (to say nothing of his cult hero status for LOST and FRINGE). 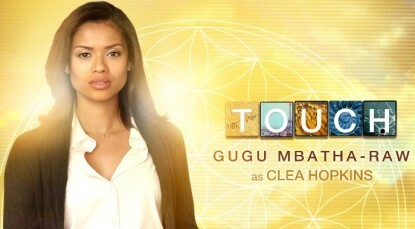 Mbatha-Raw played Samantha, one-half of a spy couple, with Boris Kodjoe as her husband. The series didn’t last, but Mbatha-Raw has fond memories of it.